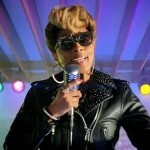 This post should be titled “In Defense of Fried Chicken…and Mary J. Blige”. I’ve been saving this for awhile to see how a few fried chicken developments would pan out. It’s been almost 2 months since MJB’s fans threw a chicken fit over a YouTube posting of an unfinished commercial with the queen of Hip Hop soul crooning sweet nothings to Burger King’s new crispy chicken wrap sandwich. Meanwhile there was little to no clucking by the fried chicken police about Questlove going wing-to-wing with badass chef and Momofuku owner David Chang in a nationally televised and promoted fried chicken match on “Late Night with Jimmy Fallon.” If you recall, it was just two years ago, Questlove, a member of the Roots and Jimmy’s house band, twitter snitched on the NBC cafeteria for serving fried chicken as a Black History month special. This blog commented on the story – early in the IDFC series. Never one to hold a grudge, Questlove came around to NBC’s fried chicken. He learned the menu was prepared by the cafeteria’s chef Leslie Calhoun, who defended her menu featuring foods she enjoyed. Chef Leslie is black. Questlove has also had a reversal of fortune in the past several months in defense of fried chicken. 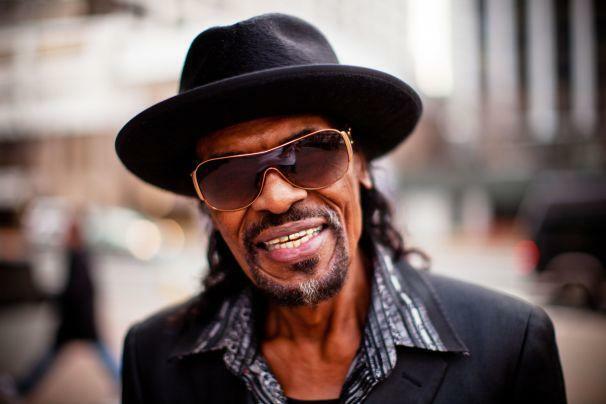 Last December he announced he was getting into the fried chicken food truck business. Each fried chicken piece is served with an origami heart. But Questlove didn’t best David Chang at least with the celebrity judges that were assembled for the showdown on Late Night with Jimmy Fallon. I’ve included their names and place of origin (to make a point): Tiny Fey (Pennsylvania), Late Night announcer Steve Higgins (Des Moines, IA), and John Slattery (Boston, MA). What? No southerners? I’ve served on a fried chicken panel myself and I can at least claim culinary roots in Virginia. Tina Fey’s mention of Shake n Bake blew her credibility for me. I may cut Steve Higgins some slack – has he had chicken fried steak? He also seemed to be totally enthralled with the fried chicken. 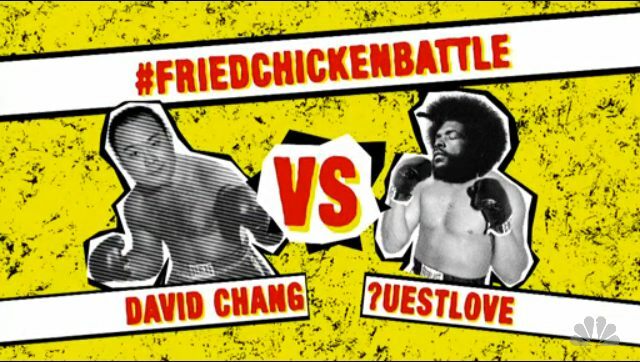 Questlove and David Chang are two men of color teaming up over fried chicken. But it doesn’t stop there. The bet included a truce. Chang featured Questlove’s fried chicken in his Momofuku restaurant with sales going to the Food Bank of New York City Food Bank. A special dinner took place May 20th featuring Questlove’s fried chicken with monies going to the charity. They’re meeting bottom lines and promoting their food for a cause. 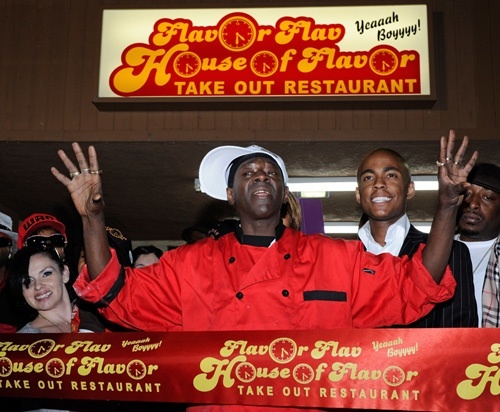 In March Public Enemy’s Flavor Flav opened a take-out restaurant in Las Vegas featuring …you guessed it… fried chicken. Anybody got a problem with that?! Apparently not. After a rough go at it in Iowa (maybe he should’ve made chicken fried steak), House of Flavor is trying to get some play on the Vegas strip. Flavor Flav actually has a degree in culinary arts. His parents also owned a diner on Long Island where he grew up. Guess it’s in the genes. Oops. Maybe I shouldn’t say that. 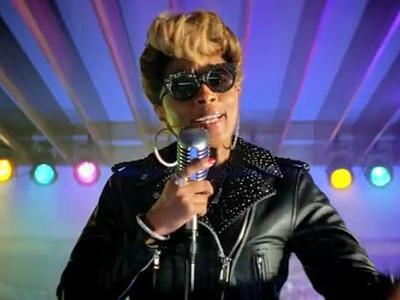 Apparently, it was hard for fans to defend Mary J. Blige even when it came to the bottom line. She was paid $2 million. Jay Leno, David Beckham, and Salma Hayek also got some cash incentives to praise Burger King’s new menu offerings with a hold on the backlash. And their commercials went on the air as scheduled. Mary J’s never got out the gate. She also had to put her fans at ease with an explanation that she hadn’t signed off on the YouTube video. 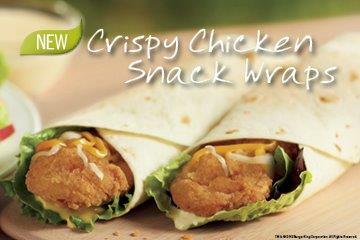 Burger King also chimed in with an explanation. Is fan love a prison? Can Mary J. call the shots in her own life and music without ruffling any feathers among the people who say “we love you”? Why does love have to hurt? To be honest all those Burger King commercials just weren’t good. And the only legitimate beef for me was the chicken itself –a batter fried pale boneless strip. It’s not honest-for-true fried chicken without the bone. Plus, we don’t see her eat the food. Perhaps the blow wouldn’t have come down so hard on Mary J. if we’d seen the hands that prepare the chicken. 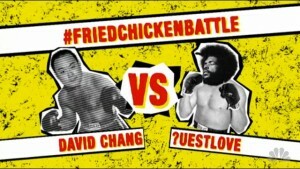 Perhaps that’s what made Questlove and David Chang’s fried chicken throw down not so offensive to their fans. 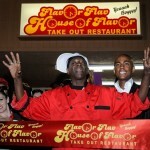 Maybe Flavor Flav’s secret recipe will be so good, all will be forgiven for those VH1 reality shows. The laying on of hands has that kind of healing quality. Celebrate jazz history. Sun., May 20, 3:00 pm, Sanctuary. Jazz Samba Project concert. On February 13, 1962, Charlie Byrd, Stan Getz, and four other musicians gathered in Pierce Hall to record Jazz Samba, the album that popularized Brazilian bossa nova in the United States. Getz went on to win the 1963 Grammy for Best Jazz Performance for the album’s first track, Antonio Carlos Jobim’s Desafinado. Celebrate Jazz Samba’s 50-year anniversary at its birthplace, All Souls Church, with the jazz ensemble, Véronneau, which will perform songs from their new CD, Jazz Samba Project. After the concert, a panel discussion led by WPFW’s Candy Shannon will discuss the historic album and the musical tidal wave that followed. Concert: 3:00 pm. Panel discussion: 4:30 pm. Tickets for both events: $20, available at www.veronneaumusic.com. Listening to samba makes me feel a little better already. “THE MAN” stars James Earl Jones who through the law of succession, becomes the first Black President of the United States. Janet MacLachlan, Martin Balsam, Burgess Meridith, also star. The film directed by Joe Sargent, is based on the book by Irving Wallace with a screenplay by Rod Serling. “UPTIGHT” stars Julian Mayfield, Roscoe Lee Brown, Max Julien, and Ruby Dee (who co-wrote the screenplay). Based on the 1935 film “THE INFORMER” by John Ford, this 1968 release deals with the aftermath of the assassination of Martin Luther King Jr. and was directed by Jules Dassin. MTPC is the name of a new project led by actor Clayton LeBouef (“Something The Lord Made,” “Homicide, The Wire”) and taken from a quote by Rod Serling. Mr. LeBouef, is partnering with eclectique916.com to reintroduce films reflecting a storyteller’s willingness to roll the dice and deliver a message about the human experience. The MTPC project includes a “people’s campaign” to bring lost works back to life through public screenings and re-releases on DVD or video streaming. You can get involved. 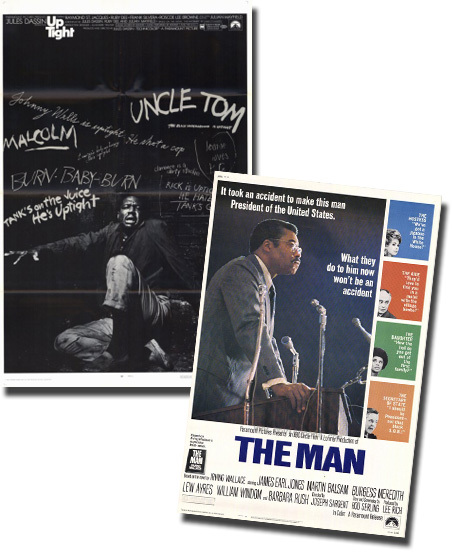 MTPC project is presenting “The Man” June 17 at 1 PM with the LakeArts Foundation Film Festival “Politics Goes to the Movies” in Chautauqua, New York. More information is available here. More information about the MTPC Project will be available at the May 26 event. Email events[at]eclectique916[dot]com And Stay Tuned!